Lots of us have boxes of VHS tapes hidden away in attics and basements. For lots of us, these tapes are of our favorite childhood films and our home movies. But there are ways to transfer our sentimental tapes over to other formats, and we can just buy a DVD of our favorite movies. Even if you wanted to watch your old VHS tapes, it’s hard to find the tape players. But why would you want to do that when you could just pop in a DVD instead or pull up Netflix? Picture quality has come a long way since VHS was popular. 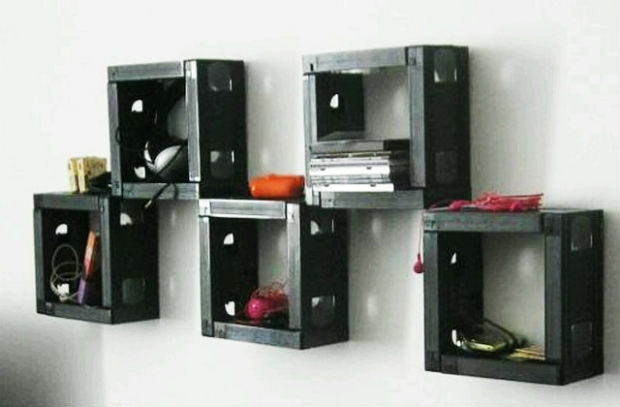 So what can you do with your old VHS tapes? Below are some ideas on how to get creative with your VHS tapes. Storage boxes: To make these storage boxes, you’ve got to take out everything inside, leaving you with a hollow shell. You can attach a simple hinge, too. VHS tapes actually make great storage boxes for smaller items like photos, jewelry and more. Planters: You might think a VHS tape planter would look strange at first, but it could make a fun addition to a deck or porch. The tapes would be glued together like bricks, standing up instead of lying flat. Then, just add your soil and your plants and you have an eccentric planter! Hidden space pictures: For this project, you’ll be using the case instead of the tape itself. Use some spray paint to evenly coat the outside of the plastic case and attach a horizontal 4×6 photo to the outside. Make sure the bottom of the photo is along the spine of the case. 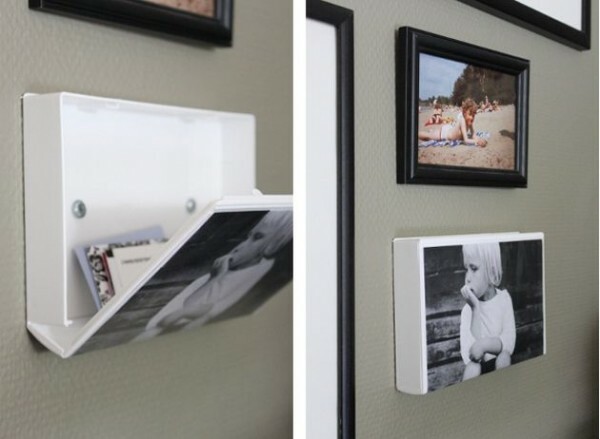 When you attach it to the wall, you can open up the case and hide some small, light valuables inside. Some of these projects are decorative or just for fun. Below, we’ll give a few ideas to use your tapes for some practical purposes. Gift wrap: This is a pretty easy task. Just open up the tape and pull out the ribbon inside. You can tie it around a wrapped gift to give it a unique look. Yarn Dispenser: I bet you didn’t know that an old cassette tape could make a super cute and unique yarn to dispense that keeps your yarn free of tangles. In just 5 minutes your VHS can be a 2 color yarn dispenser. Rope: One way to reuse your VHS tapes is to make an easy and strong rope/cord. You will want to stretch out a few spools to get started. You can check out the step by step directions here. Your last option for VHS tapes is getting rid of them — whether you want to try to sell them or donate them. If you’re not big on DIY, donating or selling your tapes may be the best option. If you’re wondering where to sell old VHS tapes, you do have a few options. A lot of VHS tapes probably aren’t worth much, so you have to decide if it’s worth it to try selling them. But some tapes are valuable. For example, some special edition Disney movies in specific cases have sold for quite a lot of money. It may be worth your time to do some research to see what your VHS collection is worth. If you don’t want to do that research or sell them yourself, you can always do the quick solution by dropping them off at a local thrift store or secondhand store. Record Head buys and sells VHS tapes. Bring yours in today to see what they’re worth!